If you have photos to add, send them to me and I will add them to the website. A special thanks for Marcia and Sherrye for so many photos! And to Jack Newberry for the donation of some of the wine! REDWOOD ALUMNI ASSOCIATION...WEBSITE AND DIRECTORY! If you haven't joined the Redwood Alumni's website, you should ... www.redwoodalumni.org. 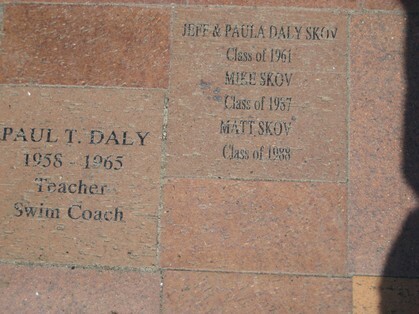 This site is much more active than our class site, has teacher profiles where you can leave memories of your favorite teachers, read about distinguished alumni in the Avenue of Giants and Athletic Hall of Fame, and look up other classes besides our own. The 50 Years of Redwood Video has been uploaded to the site. Minimum needed to join is your email address. Thanks! And thank you to all who have already joined! Special thanks to those of you who made redwood61.org donations. There is a good chance that we will not renew it when the five year term expires. If you could transfer your information or update your information on the www.redwoodalumni.org website above, we will still be able to reach you. We can send email blasts to just our class but you will have access to all classes and teachers. THANK YOU! NOMINATIONS ARE DUE OCTOBER 1, 2018 FOR THE NEXT ROUND OF DISTINGUISHED ALUMNI... ATHLETIC HALL OF FAME, AVENUE OF GIANTS! Our class has a great representation in the Athletic Hall of Fame but it's time to nominate other distinguished classmates for the Avenue of Giants. You can get all the details and nomination forms on www.redwoodalumni.org. REDWOOD ATHLETIC HALL OF FAME TO INDUCTED 1959 SWIM TEAM (2016)! redwoodalumni.org is constantly updating information. It has a new format (using Class Creator, the same host as our '61 site!) You can see information from all classes, photo gallery, teacher profiles and more. 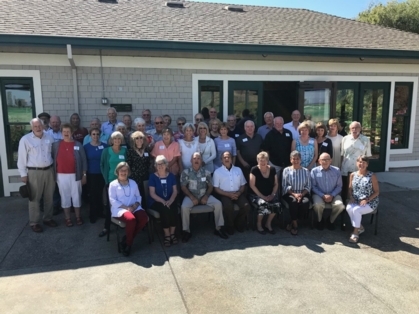 You can leave "In Memory" messages for classmates and teachers, connect privately with anyone who has joined, and find ways to give back to Rewood: participate in activities, make donations, volunteer, make nominations for the 2017 distinguished alumni in the Avenue of Giants and the Athletic Hall of Fame. Redwood BARK the award winning Redwood High School Newspaper Online! Marin Nostalgia website created by Jason Lewis '87, a Redwood Grad. Lots of pictures and memories from the "good old days." You can also follow it on Facebook. In 2009 the Redwood PTSA created a beautiful lunch plaza facing the South Lawn with tables, trees, and brick pavers purchased by staff, alumni, student families and school groups. You too can purchase one honoring a teacher, classmate or yourself. Get yours now! 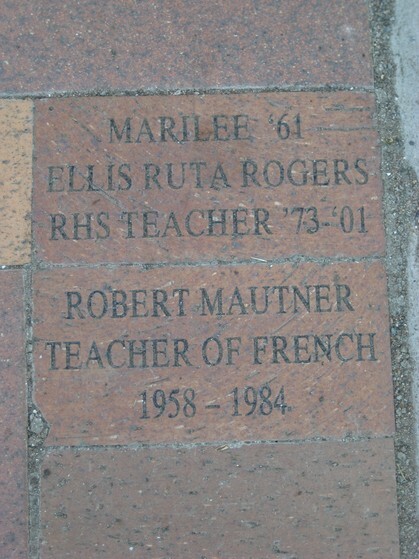 Legacy Bricks.will be installed this spring. The deadline for each school year is March 1.